When creating a Quote or Proposal, the presentation is one of the most important aspects besides the price and reputation of a business. 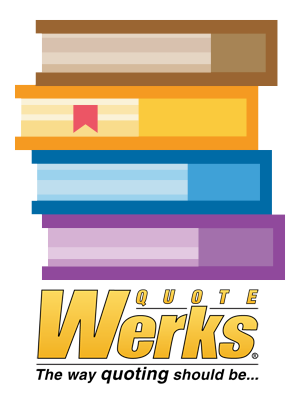 QuoteWerks has always provided users with a flexible method to create the output to provide to their customers. The Layout Designer has a WYSIWYG interface enabling any field from the quote to be placed on what the customer will see. The format can be in tables or more of a paragraph presentation for proposals. Spec Sheets, Cover Pages, and Literature could also be included with the presentation in a predetermined order. The team at QuoteWerks found that their customers needed a more familiar and flexible interface to create proposals. QuoteWerks development added the ability to include Word Based word merges instead of just the built-in layout designer in QuoteWerks version 4.6. This method automated Microsoft Word, but there were several issues with this method. The first being that Microsoft Word needed to be installed on the computer that would be conducting the Merge. The other being the time it took to launch Word, Merge the fields, save the output and then close Word again. This process could take 30 seconds, a minute or even 3 minutes or more. This is not as much of a problem if no changes needed to be made like adding another item to the proposal or changing prices, but unfortunately, the sales rep would need to revise the document to add another product or simply change the price. With the release of QuoteWerks version 5.1, Microsoft Word is no longer needed to be installed on the computer. Benefits of this are that the company is no longer responsible for licensing Microsoft Word or having a specific version installed. This is becoming more important as companies are migrating to a BYOD or cloud Word Processing environment. The same large proposals that would routinely take 2 to 3 minutes to merge now only take several seconds to produce. In addition to the Word Merging enhancements in QuoteWerks version 5.1, the Development Team at QuoteWerks added more flexibility in the order or sequence in which documents can be assembled creating a more cohesive document. There is also the ability to include additional or secondary layouts utilizing the built-in layout designer or Word Merges. QuoteWerks Development made these and other changes in preparation for their highly anticipated QuoteWerks Web solution. To learn more about the enhanced document output and the new features introduced in QuoteWerks version 5.1, please visit the What's New page.